Pang, 28, an armament technician with the 268th Battalion Singapore Artillery, was on reservist at the Waiouru Training Area in New Zealand as part of an annual Singapore Armed Forces (SAF) exercise called Exercise Thunder Warrior. On Jan 19, he was tasked to repair a suspected fault in the gun barrel of a Singapore Self-Propelled Howitzer (SSPH). As Pang, another technician and a gun detachment commander were inside the howitzer cabin, the gun barrel was lowered to its standby position. 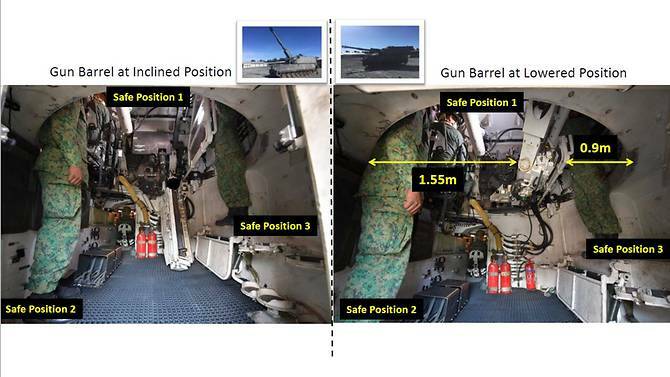 According to MG Goh, when the gun barrel is lowered, the space in the howitzer cabin is reduced. But the space is “typically sufficient” for artillery operators as well as technicians to operate, he said. 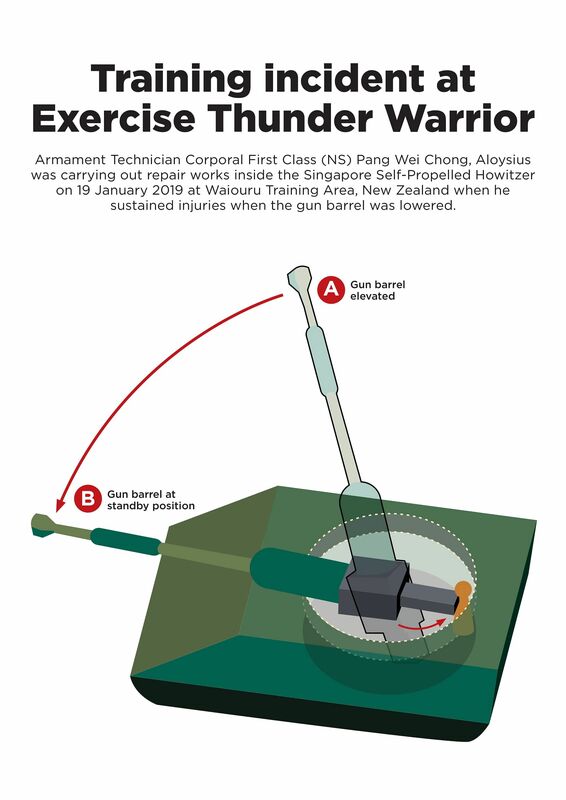 “What we found is that unfortunately, he was unable to get out of the way of the barrel as it was lowered,” MG Goh said. The gun barrel is lowered from within the cabin, and it takes about nine to 10 seconds for it to be fully lowered from a standby position, said Colonel (COL) Terry Tan, commander of the Combat Service Support and Command (CSSCOM). When asked who lowered the gun barrel and if there were any lapses in safety procedures, MG Goh said this will be the focus of the investigation. It was “not appropriate” to go into details until the investigation is completed, he said. Who lowered the gun barrel? And why was it lowered at that point of time. He needed some time to go to safe position, what if he had a leg cramp, what if he was blocked by unknown? What if he wasn't ready for the lowering. Ermmm .... got Pokemon block izzziiiit? Parents can sue Nintendo?